This week Square Enix has announced that it will terminate the service of Justice Monsters Five on 27 March 2017. 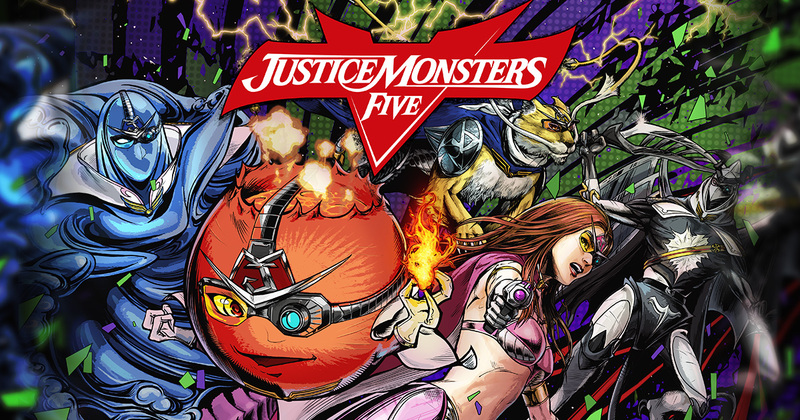 Justice Monsters Five is a pinball minigame in the world of Final Fantasy XV and is available on Android and iOS devices since 30 August 2016. In the statement Square Enix apologies to the fans for any inconvenience, however no further details were released why it will be terminated. Golden Orbs (the in-game currency) can not be purchased anymore on 27 February 2017. Unused in-game currency will be reimbursed with more information shared at a later time. Dragon Quest Heroes II is already available in Japan since May and after that it became quiet if the game will hit the west, untill today. Square Enix has announced, via the official Twitter account of Dragon Quest, that Dragon Quest Heroes II will be released in North America on 25 April 2017 and Europe on 28 April 2017 on PlayStation 4. Dragon Quest Heroes II is a hack & slash action-RPG developed by Omega Force and was also released in Japan on PlayStation 3 and PlayStation Vita. No suprise that Square Enix skipped these systems due to the lack of sales. Hajime Tabata, director of Final Fantasy XV, has announced today that the game will receive free updates troughout the coming year next to the previously announced downloadable content. As I’ve said before, release day is not the end for Final Fantasy XV, and I would like to share some of the things we have in store. The great reception we have received has actually allowed us to expand our plans even further. We want you to enjoy Final Fantasy XV for a long time to come. We have been listening to your ideas on how to make the game experience even better, and so in addition to the previously announced content, we’ll be providing free updates to the game throughout the coming year. Our early plans are to enrich certain aspects of the game, adding gameplay enhancements for Chapter 13, buffing ring magic, etc. We’ll have the specifics of what and when for you at a later date. After that, we’re hoping to delve deeper into the story, adding scenes that will give you new insight into character motivations, such as why Ravus walked the path he did. We will need a little time with these, as they’ll need to be localized and voiced in other languages, but we’ll let you know the details once everything is set. For the long term, we are looking at making certain key characters playable, and even considering the possibility of customizable avatars, in addition to other features over time. Other features we have in mind include letting you carry over stats from a previous playthrough, and adding items that introduce new playstyles, such as low-level runs and god mode. We’re also examining readability tweaks - increasing font size - for certain languages. On top of that, we’re looking at content you can enjoy in real-time, including new bosses with exclusive rewards and achievements, and limited-time hunts. Speaking on behalf of the development team, I hope all of you, all around the world, continue to enjoy Final Fantasy XV and the Final Fantasy series. Recently Square Enix has announced that they've shipped 5 million copies of the game, making it the fatest selling entry in the Final Fantasy series. However, in Japan, only 690,471 copies were sold in the first week.